German collective Wareika return to Visionquest with the ‘Bolero’ EP this June, comprising the trio’s original and four remixes from Vlad Caia, Egal 3, Boronas and Nihko. 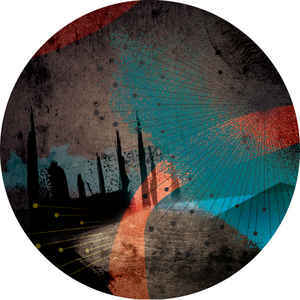 Florian Schirmacher, Henrik Raabe and Jakob Seidensticker have firmly established themselves as one of the major driving forces within electronic music in recent times with their distinctive and dynamic sound making its way to labels likes Zip’s illustrious Perlon imprint and Tartelet Records amongst many more. Having released their third long player on the Visionquest back in March, the trio return with their ‘Bolero’ EP and are joined in esteemed company as the psychedelic rework of Ravel’s Bolero undergoes it’s own remixes. Wareika’s original opens up the EP with its impressive arrangement of crisp drums and hypnotic sweeps before Vlad Caia offers up the first remix, stripping back the original and layering driving kicks, lo-fi glitches and subtle nuances over the originals vibrant pads. Next up, Egal 3 brings forth a weighty, dubbed out groove, whilst filtered hats and evolving tones work their way around the tracks heady rhythm. Wareika ‘Bolero’ EP is out on Visionquest 15th June on vinyl, with a digital release following 1st July.